The Green Lawn Abbey Preservation Association (GLAPA) was recognized for its extraordinary efforts in historic preservation by Columbus Landmarks. Columbus Landmarks, central Ohio’s historic preservation organization, named GLAPA as recipient of the Fred Holdridge Award. The award is given to organizations, neighborhoods or groups that significantly foster the cause of historic preservation and/or enhance the quality of life in Columbus by improving the built environment. 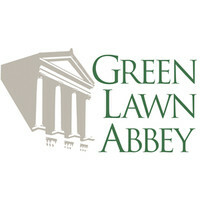 In her remarks, Executive Director Becky West noted that Green Lawn Abbey is an architectural and historic treasure and applauded the work of GLAPA’s supporters for aiding in the transformation of the Abbey.